I'm in a slight period of adjustment - the Little Man started at preschool last week, so I suddenly have free time to manage! This means quilting during the work week and enjoying weekends with the family instead, and getting outside for my workouts all but one day a week! Of course, by the time I've settled into a good routine, summer will be upon us. But it'll be nice while it lasts. And maybe at some point during the whirlwind of cleaning on Mondays with no one making a mess behind me(!!!) I'll manage to remember to blog on the right day. Until then - the progress! 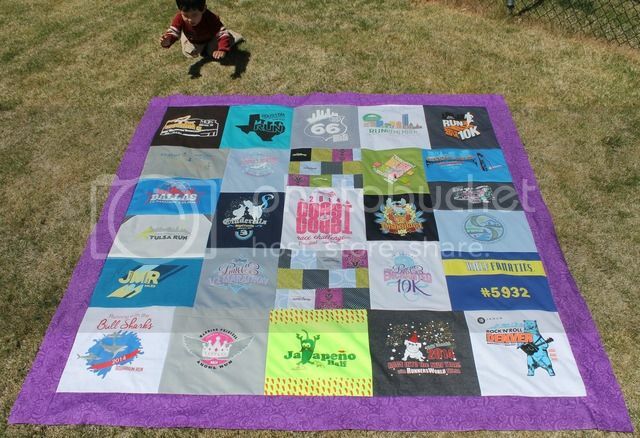 T-shirt quilt - a flimsy! 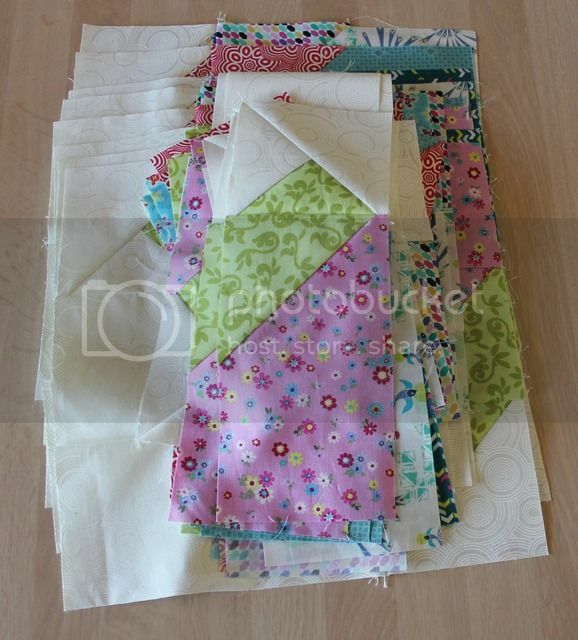 The backing is prepped and all is ready for quilting tomorrow. My little helper is keeping it from blowing away in the wind. Shivaun Place - so close to completed blocks! Since there's only four large blocks, it's been easy to grab a set of things and do one step here and there throughout the week. There's no immediate gratification of finishing one block, but by the end of the week, my patience should pay off. 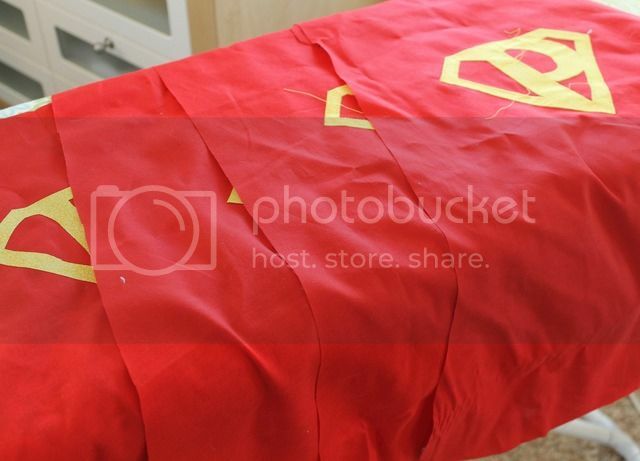 And then there's been a little work on Superman's cape...times six. They're for my cousins' kids, but I had to make a trial one for the Little Man, too. I'm still stitching down the applique at this point. 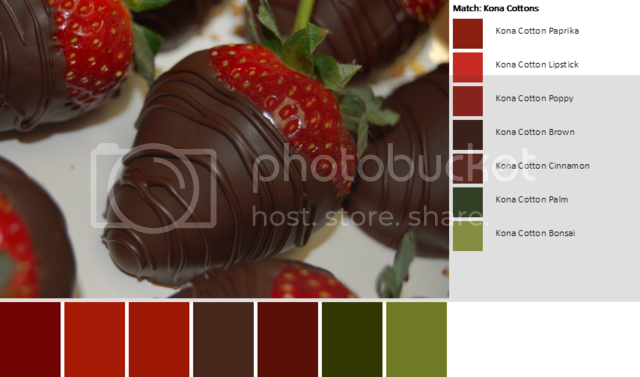 And the color palette of the week is strawberries, and this is going to be a total shocker - but when I hear strawberries, I think chocolate covered strawberries. Mmm, chocolate.